NANA HOTEL is located in the heart of Thailand's capital at one of the city's most well-known areas, Sukhumvit; closely surrounded by the shopping districts, entertainment centers, business complexes, and Queen Sirikit National Convention Center. Convenient to travel around with Sky Train from Sukhumvit Rd. and easy access to Bangkok International airport. All public transports are available right in front of the door. Enjoy a surprising blend of style and taste. Our 130 seats restaurant offers different areas for private dining and casual get-togethers. 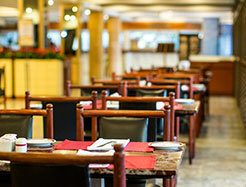 Presents a wide range of delicious International cuisines and Thai dishes. 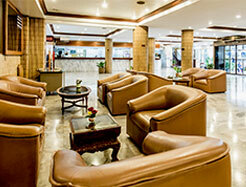 From 7 a.m. until 2 a.m.
At Nana Hotel, we have a choice of accommodation to suit your style and personality. 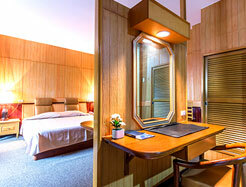 From beautifully furnished superior rooms to suites.